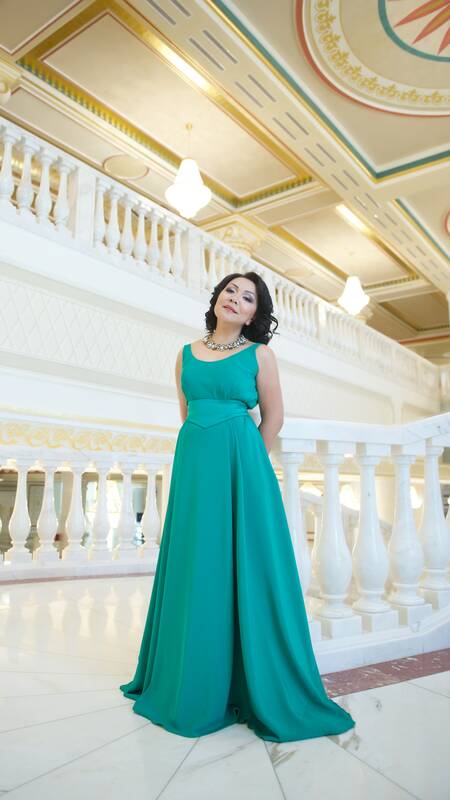 ASTANA – Kazakh mezzo-soprano Dina Khamzina will perform the title role in “Carmen” at the Astana Opera. The premier of the George Bizet classic will be staged Nov. 17 and 18 at the opera house’s main hall. 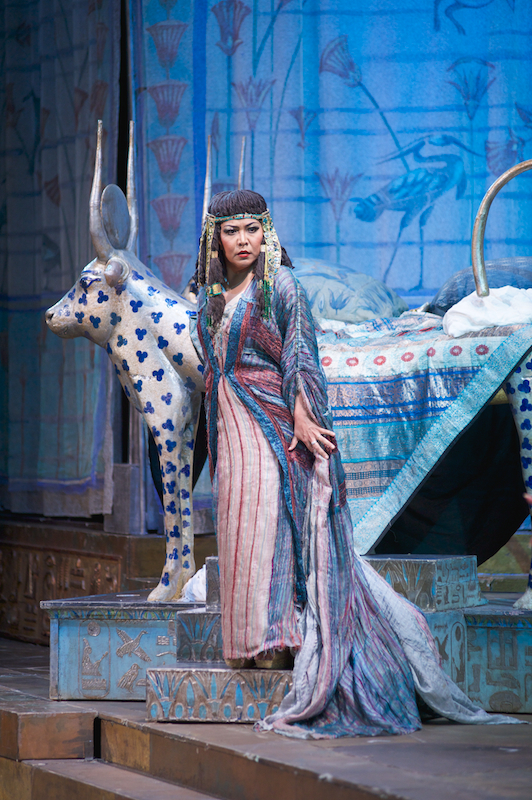 Khamzina has performed the role many times, yet considers each to be a different interpretation. “Our life is constantly changing: today you meet a fascinating person, tomorrow – read an interesting book. All of this makes an impression on us – the mood and even the worldview changes. 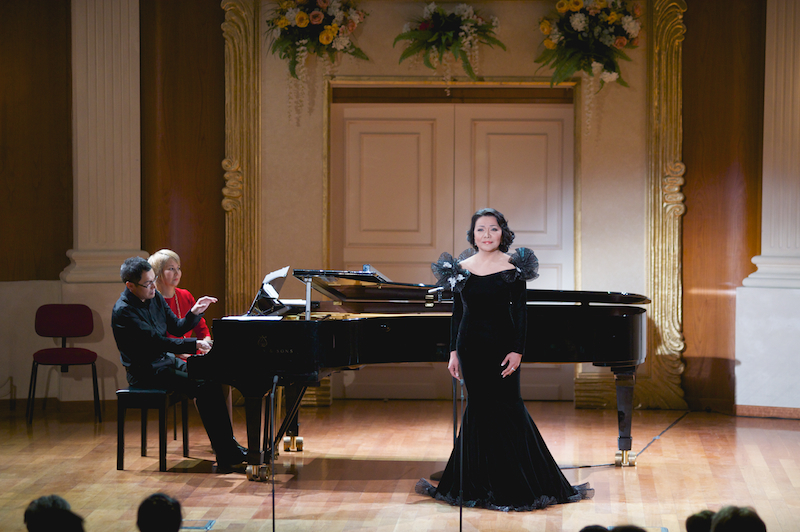 Even if we perform the same aria often, it still cannot be the same, because when we go onstage, we, the artists, cannot be switched on and listened to like a recording. Once my Carmen was a naive girl, a hooligan; now I see her completely differently, more wise, free,” she said in an exclusive interview with The Astana Times. The opera singer discussed her own freedom. “Eating whatever you want and sleeping as much as you want is not freedom, of course. What is a gypsy camp? It is a constant struggle for survival, but this survival is not associated with any dependence. These people do not depend on circumstances, are not attached to one place; they all have inner freedom, which cannot be compared to anything. In the case of Carmen, even death cannot withstand freedom,” she said. Khamzina described herself as “a reserved person,” so she believes she cannot “overdo” Carmen. “I can see the fine line which must not be crossed. Many people say that this is not my part, but my personality has nothing to do with Carmen’s personality. However, I should not be like my heroines. I am not in the theatre to play myself on stage; on the contrary, I am constantly searching, seeking unfamiliar portrayals for me, discovering something new in myself in order to convey to the audience what the composer wanted to say,” she noted. “What makes us different from dramatic artists is the fact that music helps the opera singers. Which word should be emphasised, how to sing this or that phrase – all this is spelled out in the score. The stage directors’ interpretations are also very important; each of them is different,” she added. Khamzina strongly disagrees with directors who portray Carmen as vulgar. She is certain the character’s extraordinarily beauty and inner freedom attracted José. “This ‘promiscuity’ does not correspond with the music. A free woman, uninhibited, open, spirited, passionate – this is not a vulgar woman. These concepts should not be confused,” she noted. The libretto was written and is performed in French. An opera is typically presented in its original language and the singers must know at least the basics of grammar and phonetics. “The artist must first of all understand what he or she is singing, which is why we do a word-for-word translation. I studied French grammar, which is much nuanced. Linguists worked with us, made suggestions, explained the meaning of words. Some words, which were actively used in France in the middle of the 19th century, could be moved into a passive vocabulary today; that is, they are no longer used, so the help of philologists was really needed. I do not speak the language perfectly, but I would very much like to study it, to speak it. Among other things, we took part in a master class with a tutor from Italy, the wonderful professional concertmaster Mzia Bachturidze. We hope that everything will turn out to be at the highest level,” she said. Khamzina recently returned from Bishkek and the International Festival of Opera Art named after Bulat Minzhilkiev. 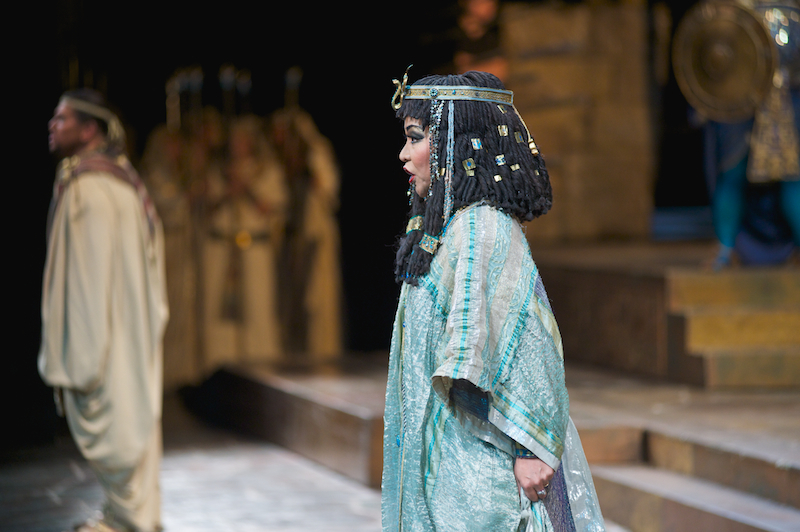 “I received a personal engagement and, together with the artists from the Mariinsky Theatre, performed in the opera ‘Aida’ by Guiseppe Verdi, where I sang the part of Amneris. On social networks, an opera fan wrote that the interpretation I created overshadowed all previous ones that she had seen until this day. Of course, such assessments are a source of inspiration and joy. I understand that I am growing, that I manage to convey the conceived ideas onstage,” she said. She is planning a tour through Kazakh cities to make her own small contribution to the Rukhani Zhangyru (Modernisation of Kazakhstan’s Identity) programme. The effort is seeking to develop and represent modern Kazakh culture throughout the world. “Therefore, after the premiere of ‘Carmen’ I want to give a number of concerts in my hometown of Uralsk, as well as in other regions. Cultivating patriotic feelings and instilling love for the motherland are some of the tasks of artists. Spirituality is priceless; it is the foundation of a healthy and educated society. Therefore, we must make every effort for the prosperity of Kazakhstan,” said Khamzina.